PDF is still one of the most popular types of documents in the world, but sadly it isn't as simple when it comes to editing it. Many PDF editors, especially the ones that come with price tags, can help you complete various types of tasks, from attaching new pages to the document and adding notes to altering text content. However, if you don't plan on using the PDF editor often and it's only for one job, then you should look for some free solutions. There are multiple online services and desktop programs that help you edit your PDF documents without spending a buck. Even though they might not be as capable as the ones that aren't free, they can accurately complete basic tasks. For instance, AbleWord, LibreOffice, and Foxit Reader are some good desktop solutions that require minimum PC experience and offer you quality results. Download and install AbleWord on your Windows PC. Launch the program on your computer. You have two options for importing PDFs. 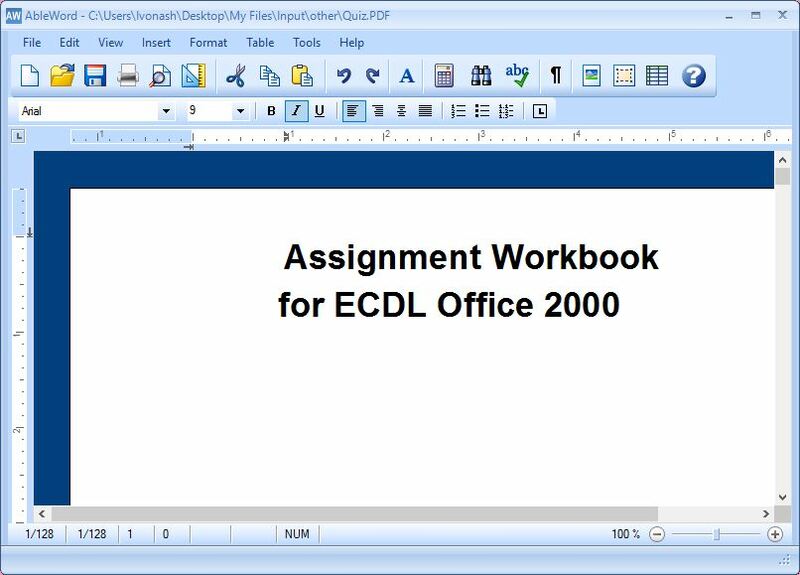 You can import the PDF document as it is (go to File -> Open and select the PDF file from your local folders) or load only the text content from the PDF in question (go to File -> Import PDF Text and select the PDF document). On the main toolbar of the program, you will find various PDF editing options. You can use the utility to type on a PDF, alter page arrangement, change text style and size, delete content from the PDF document, attach images to your file, insert a table, and so much more. Once you finish editing your PDF file, you can save it with the original extension or export it to other formats, such as DOCX, RTF, TXT or HTML. 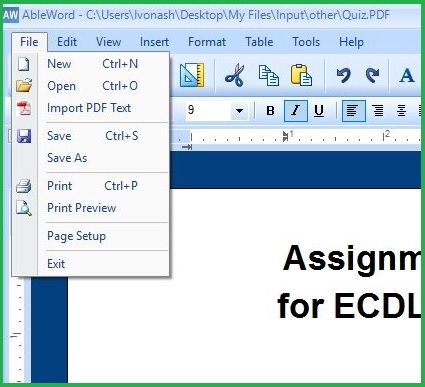 Optional: AbleWord can also be used to make a fillable PDF file and to edit other types of documents. For example, you can import and edit DOC, DOCX, RTF, TXT, HTML, and HTM. As you can see, there are free solutions for editing PDF files on your Windows PC. Even though I showed you how to use AbleWord to edit PDFs, other utilities like Foxit Reader or LibreOffice also provide you with quality results and useful features. So, which free PDF editor would you choose? Let us know in the comments section below.